Our South Branch has moved. Our new address is 20295 South Dixie Highway, Miami, FL 33189. 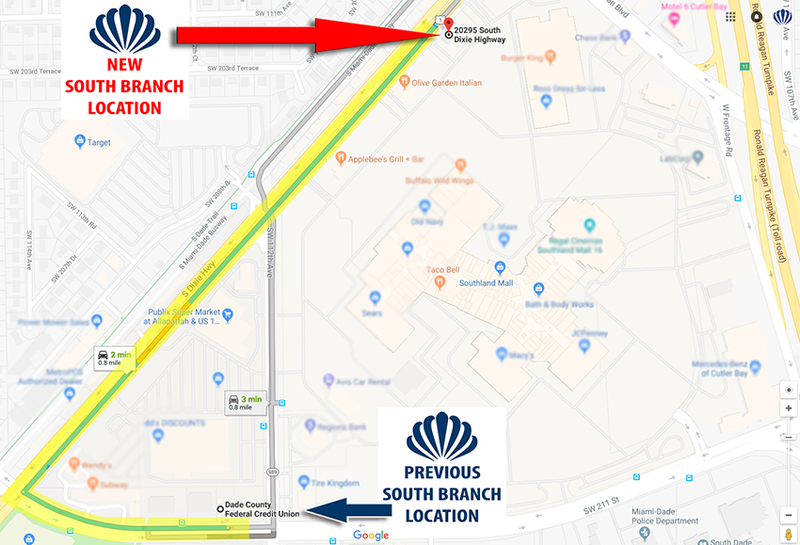 The New South Branch Location is located at 20295 South Dixie Highway. To get there, take SW 211 Street west to South Dixie Highway and turn right to go north. Take South Dixie Highway for .8 Miles and it will be on the right.